01. What usually underlies the need for a business transformation? The office products and business equipment markets face disruption as work practices change and technology impacts legacy workflows and reduce print requirements. The office products and business equipment marketplace is a large market in terms of annual retail dollars and has thousands of resellers whose businesses depend on the resale of office products, equipment, and supplies. Many of these resellers have been in business for decades, and who lived through the periods of rapid growth that took place during the 1980's, 90's and early 2000's as access to desktop printing changed worker habits. More recently, major changes in work habits and the implementation of efficiency-improving software technology have significantly reduced the demand for office equipment, such as printers and copiers, and the paper and supplies throughput that has historically been associated with them. In parallel, the internet has changed the way individuals and businesses purchase the items they need breeding online powerhouses such as Amazon. Alongside the ability to easily purchase online, buyers now have access to unlimited sources of information to do their research without having to contact a salesperson. So, the selling process has changed in favor of the buyer and businesses that fail to qualify themselves online with content that addresses buyer research, face a serious prospect of being completely frozen out of the market. With this combination of challenges occurring in a shrinking market, many resellers are wondering what their best business survival strategy should be. This paper explores the basic foundation required to improve the reseller's value proposition and to position itself to compete more effectively with larger enterprises. 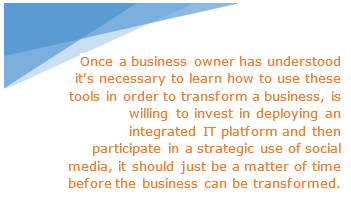 What usually underlies the need for a business transformation? A business transformation may be considered the act of moving out of one area of expertise into another and is usually contemplated because the original market has deteriorated. We live in a digital world and face a constant barrage of data. Without the use of information technology to interpret the data and convert it into business intelligence, many smaller business owners will remain stranded in the analog world. A digital transformation takes time to accomplish and doubts will creep in if there is no plan with realistic goals to measure progress against. To avoid the catastrophic risk of abandoning transformation initiatives, a financial plan must be established at the outset. There's more to a business plan than a financial plan. Consider the financial plan the expected outcome of a strategic plan that contains a detailed roadmap of the steps required to achieve the financial plan. Failing to develop a strategic plan means there's less likelihood of accomplishing the financial plan. A website will only be embraced by the audience it's targeted to attract when it performs a service the audience has a need for. This may be for an education, for a transaction, or for a combination of both. However, without content designed to attract the audience in the first place, there will never be any traffic. Most owners of dealerships in the office products and business equipment channel pre-date the introduction of social media into the mainstream of daily activity. With a limited understanding of how these channels can be leveraged to promote brand awareness, most have failed to take advantage. Customers migrated to big businesses because they provided more options at lower prices with better service levels than small businesses. Now, the only way for a small business to win back market share is to meet or exceed the value proposition offered by those larger businesses. 1. To be competitive in today's market a business must deploy a fully integrated information technology platform. 2. To implement one doesn't have to break the bank or take years to accomplish. For smaller businesses operating in mature markets oftentimes, it's become a matter of survival - a daily grind to hang on to existing customers and eke out some profits. However, as will be presented in this paper, there are just two fundamental requirements for positioning a business for transformation. Secondly, making a commitment to educational resources for learning how to implement digital marketing strategies. Successfully accomplishing these two requirements can position a business for growth and profits within its existing market. Typically, a business transformation may be considered by a business owner as the act of transitioning out of one area of expertise into another. This is usually contemplated either because the original market has deteriorated, or, for some other reason, it is no longer considered possible to compete effectively in that market. As a result, business owners start to contemplate the riskiest of business transformations by considering how to enter into new markets and or new products. However, because it’s likely the business owner's knowledge of the new markets and products will be inferior to the knowledge and expertise of its original market, it becomes more likely that mistakes and misjudgments will occur. Before going down this risky path, business operators in mature markets where revenue is declining and profits diminishing, should consider implementing a business transformation strategy within their existing market and area of expertise. If the qualifier conditions are met, then it becomes possible to significantly mitigate the risks of a business transformation by staying within an existing field of expertise in terms of products and customers. There are two foundational requirements to prepare for transforming a business and positioning it to compete effectively with larger enterprises within its existing market. 1. 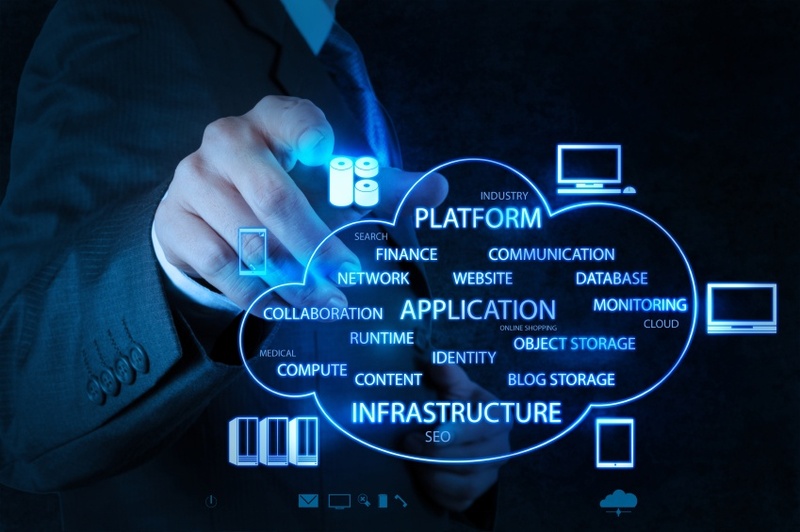 Prepare and deploy a fully integrated information technology platform. 2. Learn how to effectively use the platform. All these software systems are available at a reasonable cost and usually within subscription models that reduce the impact of upfront out-of-pocket expense. However, to be effective they must be deployed so that each of the different components “speaks” to each of the others. For example, the back-office system used for invoicing and receivables & payables, etc. 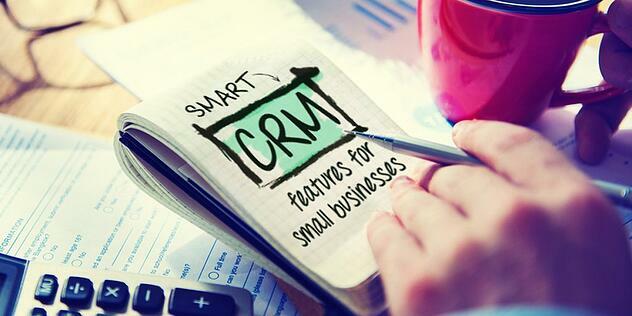 must “talk” to the CRM system with a full exchange of data taking place between the systems. 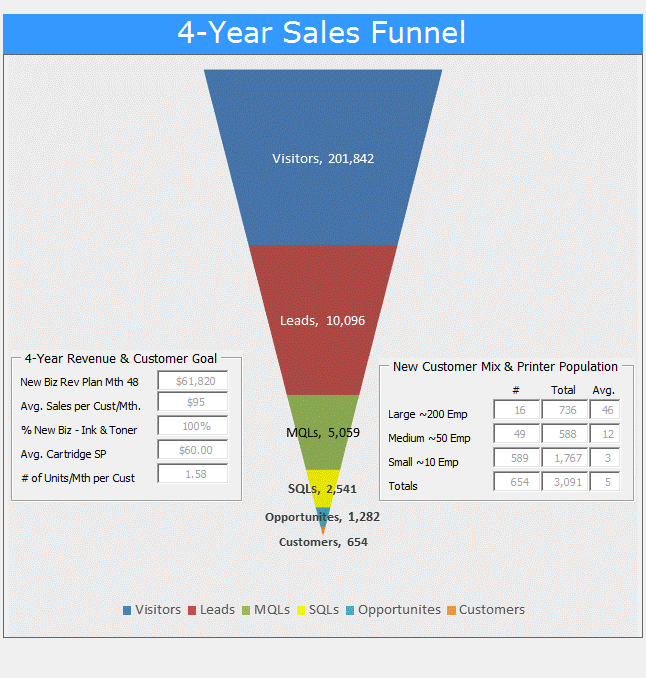 The email campaigns must have their “clicks” recorded in the CRM system to manage the sales pipeline. The e-commerce shopping cart must “talk” to the back-office accounting system, etc. Making sure these systems are fully integrated requires careful implementation and the use of smart resources experienced in their field. Short-cuts will backfire as the failure to deploy an integrated platform means the effort to transform a business will be compromised. The business operator must be willing to learn how to effectively use the technology platform, particularly in terms of the front-facing components such as the CRM, e-commerce, and email marketing campaign tools. Furthermore, because another important element of a business transformation strategy requires participation on the popular social media platforms such as LinkedIn, Twitter, and Facebook, then these skillsets must also be mastered. Most small businesses are floundering when it comes to digital marketing, developing qualified inbound web-traffic, and leveraging social media to help develop and expand a relevant audience. For the most part, these are new skills independent resellers must learn and perfect before it becomes possible to extract any value out of their efforts. Spending time and money to upgrade and integrate an information technology platform in preparation for the world of social media and digital marketing will be a wasted effort if the operator fails to implement a digital marketing strategy that fully exploits the potential of the platform. There is no shortage of options for business owners seeking support for their digital marketing and social media strategies. In fact, because there are so many options, it has become overwhelming for decision makers, unskilled in the field, to figure out where to start. This dilemma is paralyzing small business owners with regards to their digital transformation decision-making, leading to low implementation rates for the necessary skills and strategies. Simply dabbling in social media and digital marketing is ineffective so it becomes critical for businesses to master the use of a suite of digital marketing tools and to move forward with well-prepared strategies. 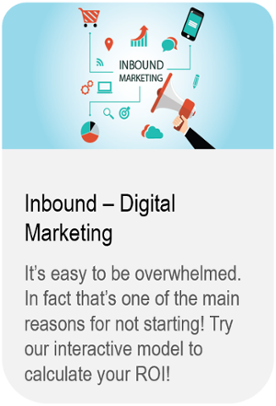 However, to be effective, an inbound digital marketing strategy must be launched from a fully integrated information technology platform. If this can be accomplished, and leadership has the staying power to execute its strategy for the long-term, then it becomes possible for a digital transformation to take place. A technical definition of Information Technology is "the application of computers and telecommunications equipment to store, retrieve, transmit and manipulate data, often in the context of a business or other enterprise". This is a broad definition and does not do much to help a small business decide what path to take for the information technology systems that must underlie a successful business transformation strategy. A more helpful definition of information technology for small business may be “deployment of a fully integrated suite of software applications that enable a business to run its operations, financials, communications, marketing, customer service, and e-commerce activities while simultaneously enhancing the customer experience and improving the implementer's decision-making capabilities and efficiency”. Large companies with access to significant human and financial resources have deployed fully integrated systems that accomplish these goals. They have spent millions to achieve this objective and have taken the better part of two decades to do so. Because of the costs incurred and complexity involved, these capabilities have historically been the exclusive realm of large companies who, in so doing, have enhanced already significant competitive advantages over small to medium-sized businesses. To compete successfully in the 21st-century business environment, it has become necessary to implement integrated information technology systems. These must be in the form of an integrated suite of software applications that function to simultaneously improve the customer experience as well as the decision-making capability and efficiency of the implementer. Fortunately, achieving this task should no longer be outside the resources of smaller businesses. World-class software solutions are available at a modest cost and can be deployed and integrated within a matter of months as opposed to the years it took for large companies to implement software such as SAP, Oracle, or other large-scale Enterprise systems. Furthermore, not only can the software systems be deployed quickly, they can be implemented in an architecture that permits ongoing flexibility, a flexibility that's frequently not possible for large competitors tied to their legacy systems. Six individual, but integrated software applications can be more than a match for an unwieldy SAP or Oracle based enterprise system. Take a look at our integrated information technology platforms infographic by clicking here! For a business facing a digital transformation, information technology is the foundation on which it will be built. Regardless of where we are in the calendar and certainly not only at the start of a new year, it is important to operate a business according to a financial plan and a budget. 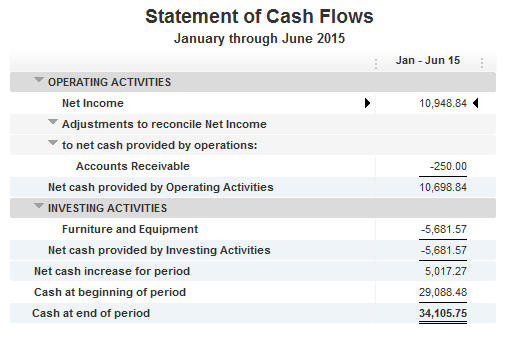 Many smaller businesses manage their financials on a cash basis. Whatever's left in the bank at the end of the month is treated as cash available to spend. This may work all the time there's cash left over but that's not likely to always be the case. Regardless of whether it's an approach that has worked in the past, and particularly within the challenging office products and business equipment reseller environment, it's not the optimal way to run a business. All businesses should operate against a budget with a plan for income, product cost, and expenses. Subtracting product cost from income results in gross margin and subtracting operating expenses from gross margin results in operating income. However, taxes and interest expense cannot be overlooked and must be accounted for before arriving at net income. In developing a plan and comparing the plan to actual performance each month, business owners become empowered with business intelligence that enables improved go-forward decision-making capabilities. Owners will know they can't spend what's left in the bank at the end of the month if they need to invest in inventory for the following month or have an upcoming tax payment, etc. With a budget, owners may account for and foresee upcoming expenses as well as compare how they did against the plan for previous accounting periods. This statement is also best used for comparing actual performance each month to planned (or budgeted) performance. Typically, a budget format should be the same as the income statement format facilitating simple comparison on demand. This is the financial statement that summarizes a company's assets, liabilities and shareholders' equity at a specific point in time. The statement shows what the company owns and owes, as well as the amount invested by the shareholders and must follow this formula: Assets = Liabilities + Shareholders' Equity. 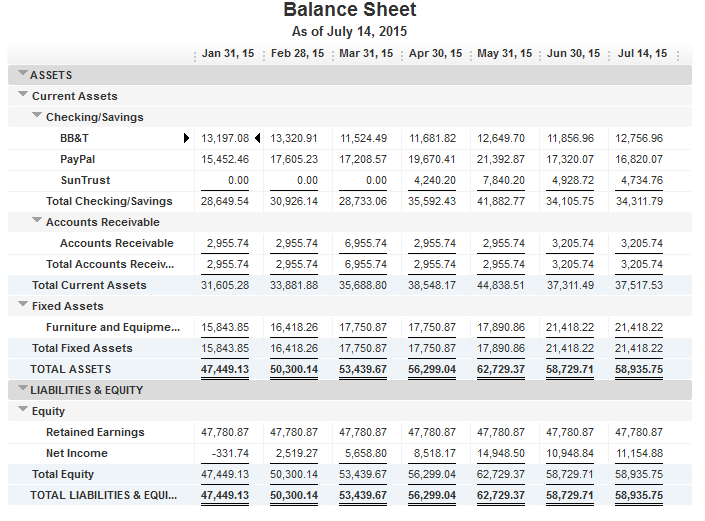 It's called a balance sheet because the two sides must balance out. Accounts such as cash, inventory, and property are on the asset side of the balance sheet, while on the liability side there are accounts such as accounts payable and debt. Typically, the most neglected of the financial statements but arguably the most important as positive cash flows are essential to solvency. They can represent past activities, such as the sale of a product, or a forecast of future activities, such as investment in inventory or a reduction in accounts receivables as well as future sales. Cash flow is crucial to an entity's survival as having cash on hand ensures that creditors, employees, and others can be paid on time. If a business doesn't have enough cash to support its operations, then it's said to be insolvent. Companies with ample cash flow can invest the cash back into the business in order to be able to generate more cash and profit in the future. It's nigh on impossible to get from point A to point B without a roadmap. In the analog days the roadmap used to be a hardcopy printed map but, in the new digital era, it has transitioned to become a satellite-based navigation system. At some stage, every one of us depends on a map to successfully get from point A to B. The same is true for small business planning and strategy. For any business, whether it requires a transformation or not, a roadmap is vital for it to successfully complete its journey from point A to point B. Goals must be established for revenue and expenses. Revenue goals must be realistic and should be related to product and customer forecasts regardless of how difficult this may initially appear to be to accomplish. For example, a small business selling direct to consumers cannot forecast by individual customer and, if offering a catalog of thousands of products, cannot forecast by individual product. Compromises in terms of the details have to be made. It's acceptable to forecast by product category rather than individual products and to forecast by sales channel rather than individual customers when the type of customer and product dictates this must be so. It's always difficult to forecast and the further into the future the forecast is established the less accurate it will be. Nobody can forecast with complete accuracy - even in the short term. The important part of forecasting is to recognize it will never be 100% accurate BUT, at the same time, to keep a plan realistic. A business plan should cover a three to four-year forward-looking period. In the first and second years of the planning period, it should be built by month and in the second and third years by the quarter or even by the year. The business plan serves two purposes. Firstly, it creates a budget against which future performance can be measured and, secondly, requires the planner to think about the strategy required to execute the plan. Anybody can build a small business strategy and plan that projects a glorious future and early retirement. However, it probably won't be possible to execute that plan. Unless the developer of the plan is willing to invest time to think carefully and honestly about the strategy required to execute the plan then the chances of successfully executing will be reduced. It's never too late to consider the forward financial planning for your business. Click on the button below to download our Business Projection Workbook. Includes Income Statement, Balance Sheet & Cash Flow for a 4-year planning horizon PLUS advanced business valuation calculators. Until enterprises enable their customers to conduct business online within a fully integrated digital platform, not only are they operating less efficiently than e-commerce enabled competitors, but they are also ignoring signals that this is the way customers prefer to conduct business. The amount of online activity is increasing at an exponential rate and a significant part of this activity is shopping or the research that proceeds it. Everybody is looking to save time, whether it's a business (and all the employees that make up that business), or individual end users. Conducting e-commerce is a way consumers and businesses have found they can save time and is a trend that is not going to reverse. Businesses that have failed to establish e-commerce platforms (whether it be B2B or B2C) and started the process of driving traffic to their websites are quickly running out of time. E-commerce is far more than a mere shopping cart for facilitating online transactions - the cart is no more than the final component of a fully integrated digital system. Almost every business enterprise knows e-commerce is important but not all businesses really understand e-commerce is more than just a shopping cart. Even for those that do understand and have deployed fully integrated digital systems then, unless they have also developed a strategy to drive traffic to their website, they will fail to take advantage of their investment. There are more than one billion websites and simply deploying a shopping cart on a website will fail because no one will ever find it. Developing traffic to a site and then getting that traffic to conduct business is not easy and is one of the fundamental challenges that small businesses face. Of course, e-commerce and site traffic go hand-in-hand and can only take place once an audience has become aware of a value proposition that it has an interest in. A fully integrated digital platform enables a business to be more competitive while also meeting the needs of the consumer. If businesses fail to deploy these capabilities then it becomes a matter of time before they go out of business - firstly, because they are less efficient than the competition and, secondly, because they are not providing the platform for customers to do business on that they are demanding. Use our Information Technology scorecard to learn what's involved to deploy a system fit for e-commerce and for efficient 21st-century business. It's not as difficult or expensive as you may think! Old school marketing may have been expensive and the returns on investment difficult to determine but the concept was simple for everyone to understand. Create an advertisement, publish it and hope someone engages. However, times have changed and marketing the value proposition of a business to its target customers must also change. The role of social media for developing brand awareness of small and medium-sized businesses must not be ignored. To ensure a small business survives and prospers in the 21st-century it must have a website that's on a path toward achieving sustainable organic traffic. To develop organic traffic, business owners must create content that's relevant and helpful to its target audience and thereby makes it worthwhile for them to engage. The use of social platforms is necessary for the purposes of delivering content to as wide an audience as possible and should be designed to serve to develop the potential for building relevant traffic back to the target website. Given that the development of relevant website traffic is desirable, expertise in the use of social platforms is unavoidable. Social media has become a topic that is overwhelming for many business owners and, because of its wide scope and relatively young "age", is not usually an area of expertise for independent resellers in the office products and business equipment verticals. There is widespread evidence that businesses have jumped in without a strategy and thousands of dormant social sites now litter the platforms. Not only does a poor or non-existent strategy turn into a cost and time sink-hole, but it also has the potential to damage the brand and identity of the business it was intended to do the opposite for. 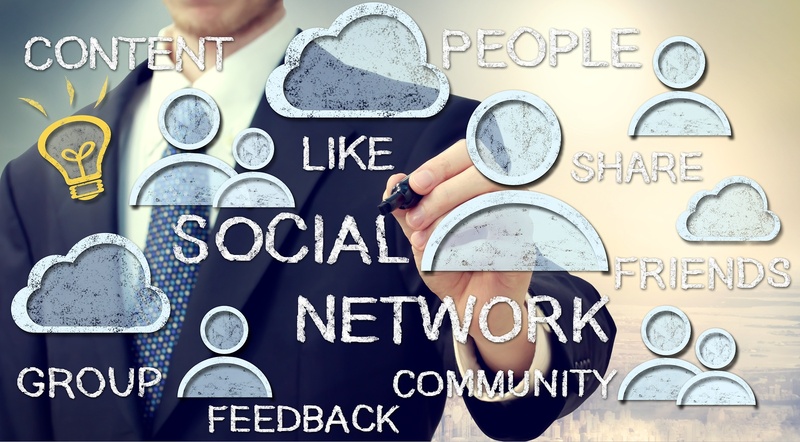 Small businesses interested in developing a social strategy most likely get the basic concept that the idea is to establish a network of high-quality contacts on each of the social platforms they want to develop. This network of contacts becomes the audience for the content. The more contacts the wider the audience and, the wider the audience the more likely the network will continue to expand in a virtuous cycle, that is, so long as the content is valuable, relevant and interesting. 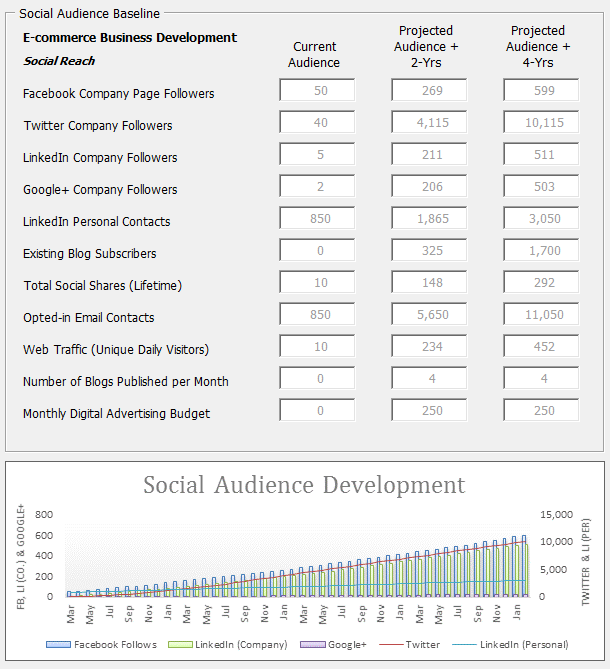 Why not look at our Business Modeling Platform to see how an effective social strategy can develop web traffic and lead to new customers? Everybody is aware of popular social platforms such as Facebook, LinkedIn, Twitter, Pinterest, Tumblr, Instagram, Google+, etc. But, for a small business, among the biggest questions faced as a strategy is contemplated is where to start. What's the most important platform to use? What strategy should be developed for each platform? How many different social platforms need to be developed? What are the usage patterns and demographics of each of the social platforms? What content needs to be published? How frequently should content be published? 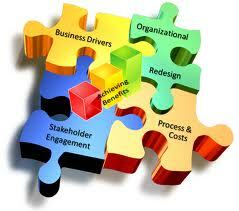 Depending on the nature of its business and social objectives an owner must choose where to focus efforts. Creating content in which the target audience has an interest. Consistently delivering high-quality content over a sustained period. Mastering the techniques for how to, when to and the frequency for, delivering content. In the early stages of a social audience building strategy, it's difficult to see all the indicators of progress and to stay motivated to execute the strategy. Often, a small business operator becomes disillusioned and spends less time preparing (or paying) for high-quality content and the initiative stalls. Unfortunately, there are no silver bullets - it's hard work preparing relevant content and continuing to publish until it becomes a habitual component of day-to-day business operations. With more than 70% of buyers conducting research online before making a buying decision, a strong website with valuable content directed toward helping buyers and providing answers to their research becomes imperative for a business to survive. However, with more than a billion websites, it's no good having great content without a strategy to develop traffic back to that content because few are likely to find it by accident. Using social media as a part of an inbound digital marketing strategy is no more than a modernization of old-school analog marketing efforts. Old-school methods are less efficient than modern digital methods and continued dependence on them will ultimately lead to business failure. Businesses can no longer depend on the circulation or audience of third parties and must develop their own. Content is "king" - no one reads or engages with poor quality, irrelevant content. There are no silver bullet solutions - it takes time to build a successful social and inbound digital strategy. Small business owners must invest in content creation, audience building, and engagement. We have a focus on independent resellers in the office products and business equipment industry which mostly consists of small to medium size businesses. For the most part, this industry has not performed well in the field of website traffic development, social engagement, or e-commerce. Why not download our free eBook on the path for a business transformation in the office products industry? 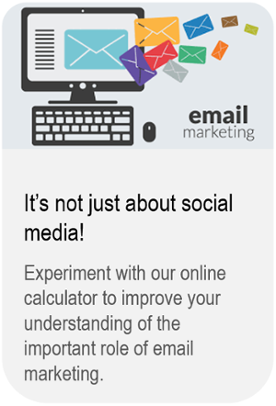 The use of Social Media is not optional for businesses anticipating a long-term future! In many cases, a big business fails to provide the level of personal service and experience its customers now demand. 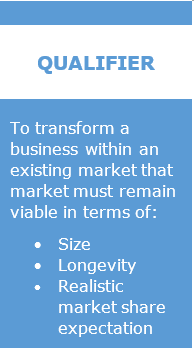 However, real advantages built up over the years through leveraging historical value propositions, lower costs, and higher efficiency, has provided big business with the time to build distribution barriers which have made it difficult for small business to win back market share despite reduced levels of customer satisfaction with many of the big businesses. By combining some of the traditional elements of the value proposition with the digital elements, a small business can build a competitive advantage over larger businesses in local markets. Small business operators now have access to technology at affordable costs, technologies that level the playing field and permit legacy distribution channels to be bypassed while providing equivalent service levels to those offered by a large business. High-quality products at lower prices drop-shipped directly to customers with one to two-day lead times, combined with the capability for seamless online transactions, can become part of a compelling value proposition and powerful components for small business marketing strategies. A small business must leverage information technology in order to level the playing field and position itself to compete effectively with larger organizations. Customer Relationship Management (CRM) is a critical component of the technology platform but its value, in terms of customer and sales pipeline management, has often been misunderstood by small business operators and its absence has compromised efforts to compete effectively. Although our philosophy is squarely behind the deployment of integrated information technology platforms as the foundation for effectively competing with much larger enterprises, these should not be implemented at the expense of proven sales development tactics. These proven methods are relationships, face-to-face relationships. Small business owners must not ignore the power of face-to-face meetings and personal interaction. In establishing and deploying an integrated information technology platform, a small business gets itself onto a level playing field alongside larger companies in its field. However, being on a level playing field is not enough as owners must also leverage capabilities that cannot easily be provided by larger organizations. Decision makers from large companies typically don't meet with anyone except their biggest and most important customers, and their interactions with smaller customers are more commonly handled by call-centers, chat lines, email, and other web-based messaging systems. Large organizations don't usually engage well one-on-one with anyone except their bigger customers because it's expensive to hire, train and maintain the resources to do so. Consequently, initial efforts are to divert calls to web-based systems like chat or common Q&As at their web portal. To get to speak to a representative, a customer has to remain determined and patient. Unfortunately, even once connected, it has become increasingly common to find the connection is with an off-shore call center with poor language skills and an incompatible culture that operate from ineffective scripts. Because of the increasingly evident failure to manage relationships with all but their biggest customers, higher levels of customer dissatisfaction are occurring that may be exploited by smaller organizations. Small businesses have the ability to provide superior and personalized customer service and, when necessary, quick access to ownership and senior management who have a vested interest in satisfactory negotiations and problem-solving. When this personal touch is combined with all the service elements (routinely available from larger organizations) and is enabled through the deployment of an integrated technology platform, a powerful combination results that lead to competitive advantages over larger, more inflexible organizations. The timing has never been better for small business to fight back and recapture market share from large organizations. Try our information technology scorecard to learn where you stand in terms of leveling your playing field? Why Must Independent Office Products & Office Equipment Resellers Approach E-commerce Differently? The focus for developing e-commerce has been B2C which means competing with Amazon or, worse still, joining their marketplace. Switching gears and providing a value-add proposition for B2B customers is far more likely to provide for a return on the investment. Office Products & Equipment Resellers and Customer Lifetime Values. 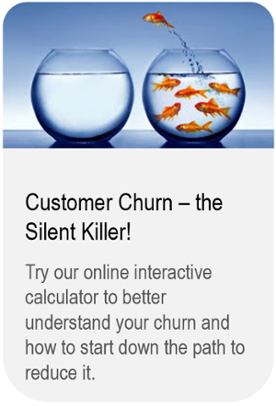 Customer churn, particularly when it's combined with a shrinking market, will cut the top line by 40% or more over 4 years. Learn about improving customer retention and its direct relationship with customer lifetime values. Amazon - Who's Equipped to Respond to the Competition? As a consumer, we all love Amazon, as a business owner, we universally fear them and the impact they have on markets they choose to enter. Learn more about tactics for fighting back. 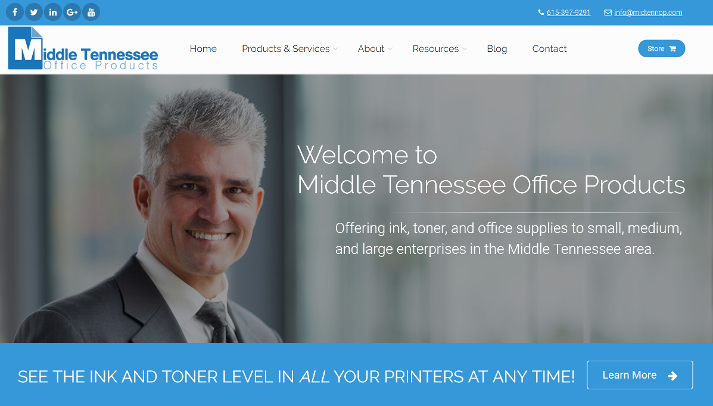 Aftermarket Ink & Toner and Their Role in Business Development. It's impossible to increase revenue in a declining market without increasing market share at a rate that's greater than the decrease in market size. Learn more about options and strategies for increasing market share. Best Buy Leads the way Successfully Competing with Amazon. Just a few short years ago, pundits were writing off Best Buy as a showroom for online sales that would eventually be conducted elsewhere. Instead, Best Buy has fought back and demonstrated there's a way to compete with Amazon. Learn more about the ten goals and seven key performance indicators that must be established and monitored for taking part in a digital business transformation. 11 Requirements To Get Traction With Your Digital Transformation. The internet has changed everything about the way potential customers interact with their potential suppliers. Unless resellers adapt to the change and implement technologies and services that support these changes, they will eventually succumb to those that do. The Internet of Things and the Opportunity for Office Products Resellers. The Internet of Things (IoT) and the ability to connect "dumb" devices to a central database, gather data, and turn it into valuable business intelligence will define the winners and losers over the next 5 - 10 years. It should now come as no surprise that the foundation for a digital transformation is a rule-conforming, content-rich, and mobile-responsive website - a website you can rely on to promote your brand 24/7, that's fully integrated with social media and email marketing tools, and incorporates technology for visit-to-lead conversion strategies. Click the website image below to schedule a free consult and learn how to get all this and more!